When you are unable to watch over your little one because of work or other responsibilities, One Step Up Early Child Care LLC is a daycare in Maryland that can watch over your little one. We offer personalized child care services to not only make sure that your child’s needs are being met but also to ensure they are enjoying their time with us. 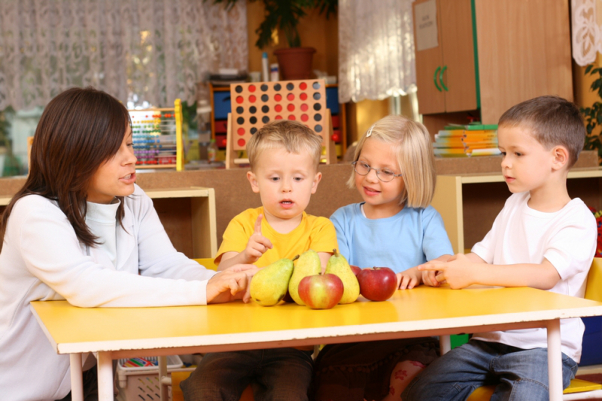 A child care in Bowie, MD is a good option when you need someone to babysit your little one. If your child wants to play outside or if they are old enough to walk to school on their own, then it is a good idea to have them employ the buddy system. This means walking or being with a friend. This way they can watch each other’s backs and make sure they are safe on the way to their destination or when they are just playing outside. When we cannot be with our children, it can be easy to overthink or worry too much. There is where GPS can help you out. There are many different types of products that were designed for children that feature GPS tracking. The most popular are wrist watches. These watches allow you to track your child no matter where you are. This is so you can rest easy knowing that your child is where they should be. There is an assortment of bulletproof backpacks available on the market. These backpacks are not much heavier or costly compared to a normal backpack but they are made out of a strong Kevlar material that can stop bullets in their tracks. With the rise of crime, these backpacks are definitely a good investment for your child’s safety. Chances are they will never need to use it but it is something that is always nice to have just in case and for peace of mind. There is nothing more important than the safety of our children. And with these tips, we can take the steps needed to improve their safety. This entry was posted in Child Care and tagged Child Safety, early education, Infant Care, Kindergarten, Preschool, Safety Tips. Bookmark the permalink.